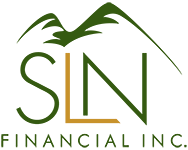 The Ideal Retirement Savings Timeline | SLN Financial, Inc. There are millions of different ways a person can get themselves to be financially-stable in retirement, but what is the ideal way? Through examining studies and compiling expert opinions, MarketWatch came up with an ideal timeline for retirement savings. Here it is. Early 20s: Start saving 10% in your 401(k). Late 20s: Have the equivalent of your salary saved by age 30. Early 30s: Continue contributing to retirement, but attack student debt. Late 30s: Have two times your salary saved by 35. Late 40s: Look to increase income through a new job, raise, or cutting expenses. Early 50s: Try to have four-to-five times your salary saved by 55. Late 50s: Add allowed catch-up contributions to your 401(k) and/or IRA. Early 60s: Don’t claim Social Security benefits until you absolutely need to. Are you far from the “ideal” retirement timeline? Give us a call and we’ll help you get you and your family ready for retirement.